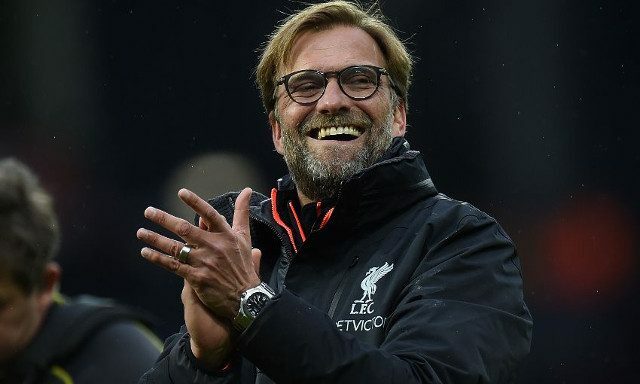 Jurgen Klopp has hinted that he will be prepared to try out a number of different systems during pre-season as he looks to introduce new players and determine his strongest team. The expected influx of summer signings means the German is set to have a strengthened squad at his disposal in time for the new Premier League season, potentially giving him a welcomed selection dilemma. “Tactically-wise, getting more flexible – depending who is there and when – and introducing different systems,” the Reds boss told Liverpoolfc.com. Though Klopp will be open to experimentation, there’s a strong chance he will keep his faith in the 4-3-3 formation that his men seemed to thrive in for most of the 2016/2017 campaign. This would accommodate the likes of Mohamed Salah, Roberto Firmino and Sadio Mane in a conventional front three as well as granting Philippe Coutinho the opportunity to play in a free role, perhaps in the deeper midfield position Klopp has previously discussed. A diamond formation also appears a useful alternative and one that would allow Klopp to play with two orthodox strikers, while three at the back could also be explored having been used at times towards the end of last season. With players returning from injury, the club’s youth starlets fighting for first team opportunities and new arrivals eyeing up a starting spot, the Reds look set to be blessed with a wealth of options.